Hospitals are supposed to be places of healing and health. Unfortunately, hospitals are also home to millions of bacteria and viruses that can lead to serious health problems for patients. For pregnant women and their children, the risks of neonatal and postnatal infections are even greater, and can endanger their health and their lives. The Washington DC birth injury attorneys at The Rich Firm, PC have seen the tragic results that can follow when physicians, healthcare workers, and hospital staff fail to take reasonable and necessary precautions to minimize the risks of neonatal and postnatal infections. We have obtained significant compensation on behalf of families who have suffered birth injuries and other health problems as a result of preventable infections. The risk of acquiring a “healthcare-associated infection” (“HAI”) during a hospital stay is more significant that you might imagine. The Centers for Disease Control and Prevention (CWashington DC) estimates that approximately 1 out of every 25 hospitalized patients in the U.S. suffers from an HAI at any given time. The CWashington DC released a study in 2014 in which it found that about 722,000 hospital patients contracted infections during 2011 alone. This included approximately 75,000 patients who died as a direct result of their infections. For pregnant mothers and their babies, the risk of infection is even greater. The mother’s immune system is weakened during pregnancy and childbirth, and the child’s immune system is not fully developed, especially if the baby is born prematurely. This leaves mothers and their babies particularly vulnerable when hospitals and their staff do not take basic steps to prevent infections. Any number of airborne and surface-borne viruses, bacteria, or fungi in a hospital and in the delivery room can lead to a neonatal or postnatal infection. When a mother gets an infection, she can pass it to her child. A child can also be infected directly through the use of improperly sterilized equipment. 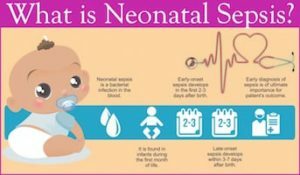 One of the more significant bacterial infection risks for newborns is sepsis, sometimes called sepsis neonatorum or neonatal septicemia. Sepsis in newborns can cause permanent damage to the child’s vital organs and if left untreated can be fatal. While some infections are caused by factors other than hospital conditions, many neonatal and postnatal infections are the direct result of negligence on the part of the hospital and its staff in failing to maintain a sterile and hygienic environment. 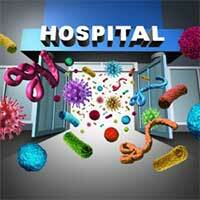 There are standards that hospitals and medical professionals must follow to minimize the risk of infections. When those standards are not met, and harmful infections are transmitted to a mother or child as a result, the hospital and healthcare providers can and should be held accountable. Holding hospitals, physicians, and other medical professionals accountable for birth injuries caused by their negligence is what we do at The Rich Firm, PC. Our Washington DC birth injury attorneys, many of whom are also licensed physicians, provide committed and experienced representation for families who have suffered due to medical malpractice during labor and delivery. If you or your child suffered adverse health effects as a result of a neonatal or postnatal infection, please give us a call at 888-RICH-LAW (742-4529) to set up your free consultation or contact us online. We look forward to assisting you.